This new book provides detailed information about the structure and content of the practical and shore based courses for both sail and motor cruising with the RYA Yachtmaster Scheme. The RYA s renowned practical training is complemented by a structured shore based learning process on the theory of navigation, safety, seamanship and by specialist one-day courses on skills such as first aid and sea survival. This book effectively combines, updates and replaces RYA Sail Cruising & Yachtmaster Scheme Syllabus and Logbook G15 and RYA Motor Cruising and Yachtmaster Scheme Syllabus and Logbook G18. 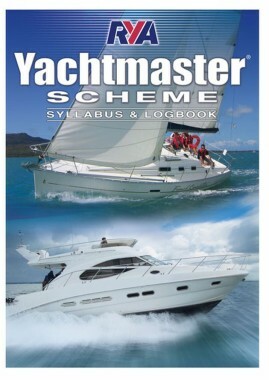 It also introduces new courses and clarifies pre-exam requirements for all RYA Yachtmaster exams.